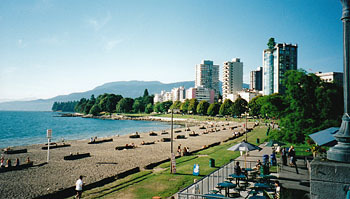 I flew to Vancouver from Sydney, landing on the 20th of August. 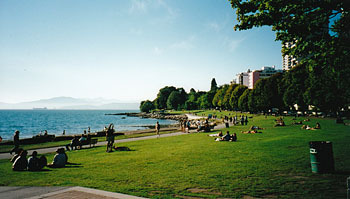 Since the late 1990's, local Vancouver artist Kent Avery has spent his weekends stacking stones on the English Bay waterfront. Avery hops down off the seawall and begins to setting one rock atop another, sometimes more than a hundred of them. A tip jar is left on the sea wall beside his photos. 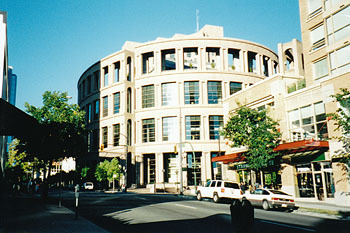 When I visited Vancouver again in 2009, Kent Avery was still stacking those stones. If you look closely you should just about be able to spot the large tree on the roof garden of the tower on the right. 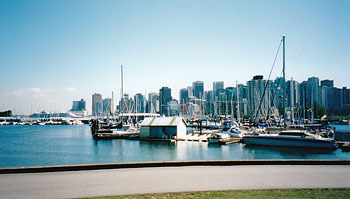 The harbour and Stanley Park. 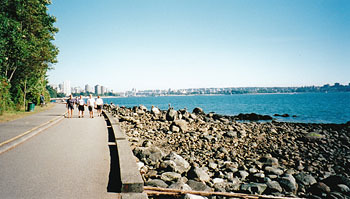 Looking back at Vancouver's harbour front from Stanley Park. 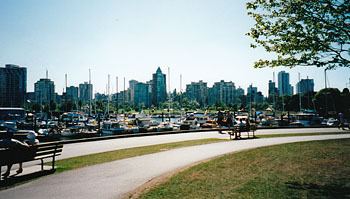 A view over the harbour and Stanley Park. 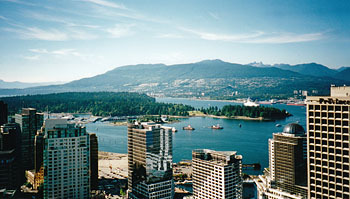 The view from the Vancouver Lookout tower. 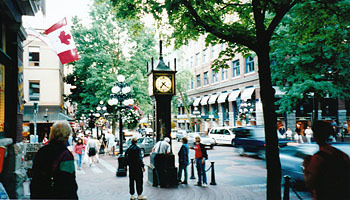 The Gastown steam powered clock. 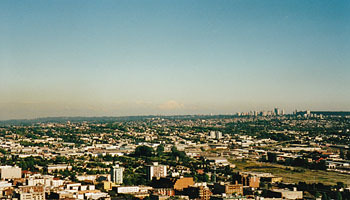 On the 24th of August I left Vancouver and flew to New York via Chicago.